If only this tiny bunny had the power and majesty of a volcano to get the world to take notice. 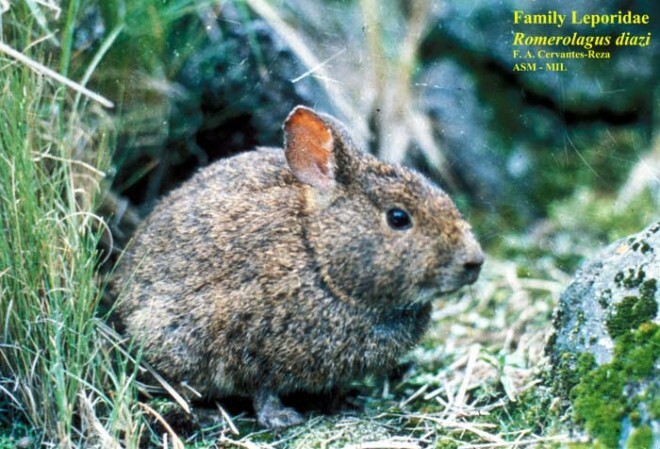 Instead, the world’s second smallest type of rabbit is quite decidedly endangered and its range is limited to the pine forests near the peaks of a few inactive volcanoes in Mexico. 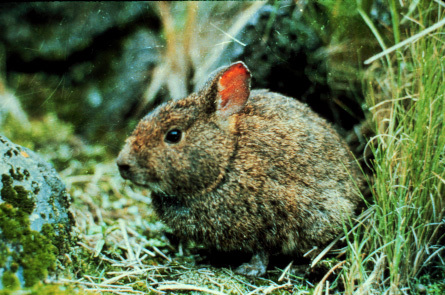 The Volcano Rabbit, or Zacatuche, is slowly disappearing as its habitat disappears. Humans build homes on the rabbits’ lands; cattle and sheep move in and eat up its main food source, the “zacaton” bunch grass; forest fires gobble up the rabbits’ neighborhoods. Life is not easy for these little short-eared bunnies.